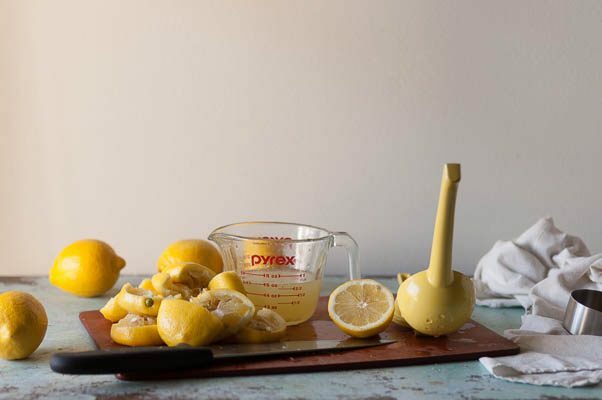 I don’t take the time to make fresh-squeezed lemonade that often, which is a pity because it actually takes very little effort and is pretty much the best thing to drink on a sunny summer day. 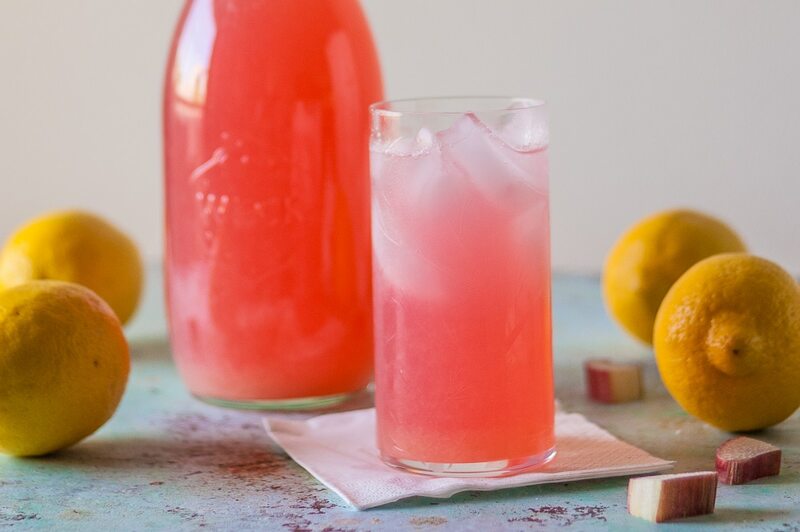 But what might be even better is lemonade with puckery rhubarb added to turn it a deep, blushing pink. 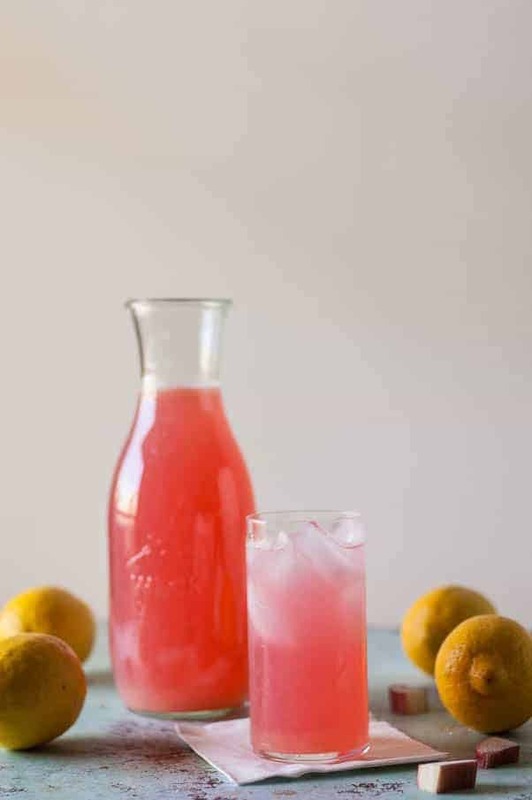 It’s all the things that make pink lemonade great with no artificial dyes or even the sacrifice of fresh berries, which, I’ll admit, I am loathe to use for juice most of the time. Good seasonal berries are to be eaten fresh or slumped into jam or pie or crumble. But rhubarb, well, I can sacrifice a couple of stalks for pink lemonade. It makes for a lovely double hit of sour. The rhubarb gets simmered in some water with sugar to make a simple rhubarb syrup, then the rhubarb solids get strained out, some lemons get squeezed and mixed in with the rhubarb-and-sugar mixture, and then a few cups of water get added to dilute the whole thing to just the right consistency so that it still holds up when you pour it over ice, but it doesn’t leave your tongue with a syrupy film. The whole thing takes about 15 minutes of work. If that. 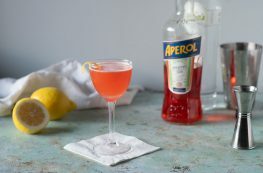 And then you can delight your friends at your next summer cookout or just have something summery and refreshing to sip on the back porch on a sticky hot day. 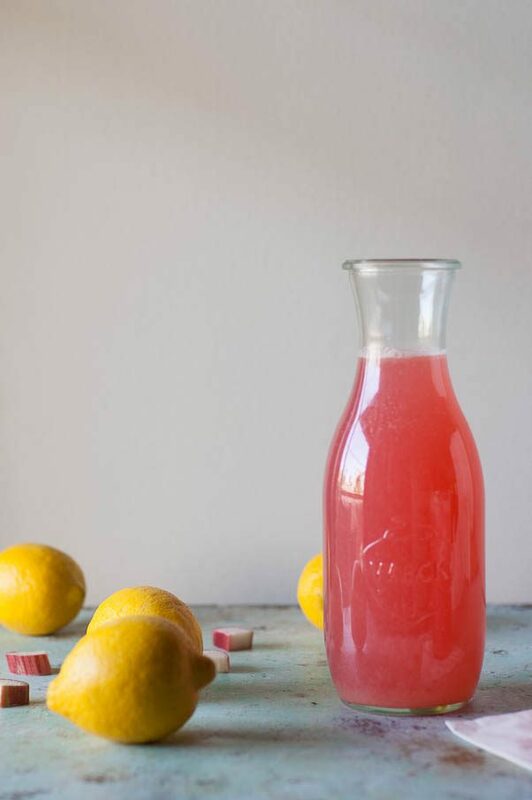 This rhubarb lemonade is simple to make with a few stalks of rhubarb and about a half a dozen lemons. The amount of sugar here is flexible. 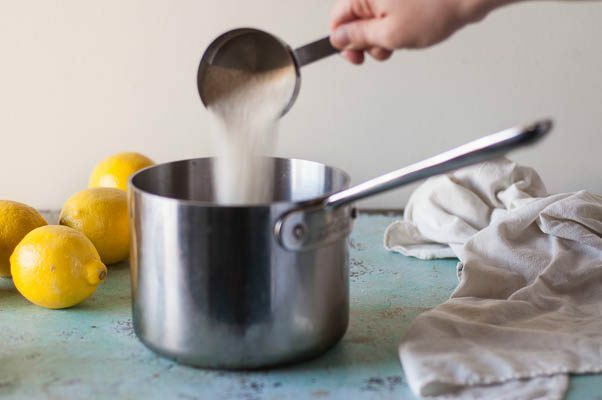 I think 2/3 cup is nice here with the sour from both the lemons and the rhubarb, but if you tend to like things on the sweeter side, bump it up to 3/4 and if you're a big fan of sour, go with a half cup. I really implore you to juice the lemons yourself. Citrus juice is incredibly volatile and loses so much of its flavor after a few days. To make your life easier, I highly recommend getting a simple lemon squeezer like this. It'll decrease your effort and increase your yield. Add the rhubarb, sugar, and 1 cup of water to a small saucepan and simmer for 5-10 minutes or until the rhubarb is very soft. Remove from heat and let sit for about 10 minutes to cool, then strain through a fine mesh strainer set over a bowl (one with a pouring spout is ideal). Discard the rhubarb solids. 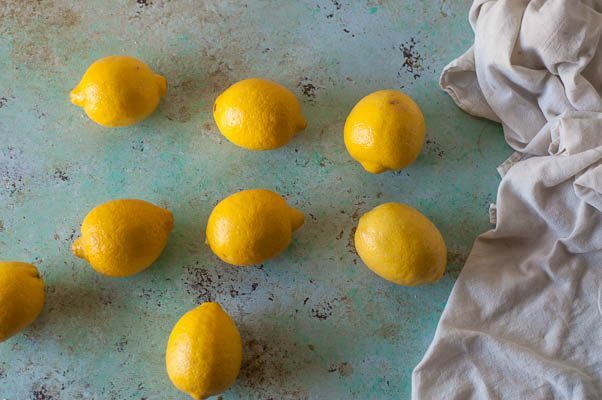 Add the lemon juice by pouring it through the strainer to remove any stray seeds. Add the remaining 2 1/2 cups water and stir. What a yummy idea!! It was 101 degrees outside today and the lemons on my tree are still begging to be used. I can’t think of a better way to enjoy them without turning on the oven. Thanks Shinee! There are so many great ways to use rhubarb besides pie. Beautiful color! I love your unexpected ingredient added to lemonade. Nicely done! 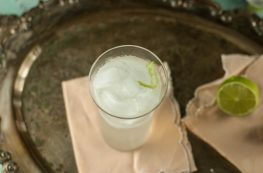 What a great lemonade for a summer party! Pinning to make later! Thanks, Paula! I think it’s a perfect summer drink!